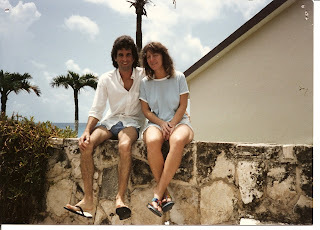 This is Sue and I sitting on a wall outside our hotel in Cancun, where we went on our honeymoon 24 years ago today. Sue hasn't changed a bit - but somewhere along the line I got older! Marriage is not easy, it has pits and falls that rival all the peaks and valleys in the world. And I'd say, proudly, that in our 24 years of marriage we have seen our share of both. And survived them. That, in itself, is somewhat of a miracle, to say the least. We still fight, sometimes about big things, and at other times about stupid small stuff. No magic formulas, just a whole lot of love beneath whatever it is that sometimes boils over on the surface. So the trick is, it seems to me, is to be able to ride the roller coaster of love without getting motion sickness. We have raised three kids, lived in 5 different houses and had several different jobs along the way. Somewhat of a typical marriage. We both like different things, for instance, we rarely watch a movie together. My tastes run to older movies and her tastes are more likely to be first run features.In books and literature we are equally diverse. While I enjoy non-fiction almost to the exclusion of fiction, she enjoys the latest best selling fiction authors, the names of which I cannot even recall. But beyond these superficial differences we do have some similarities. We are both very interested in our family histories. We both love the simple things in life and don't require much luxury; though we do revel in it when available. This is Sue and I last December. 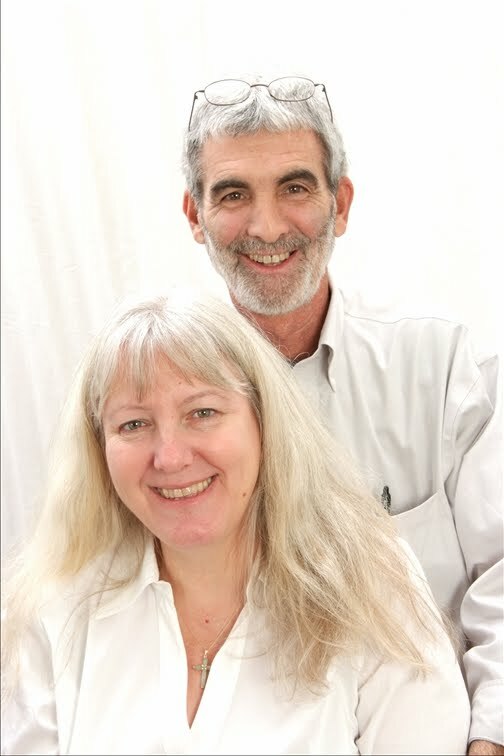 I look a bit older, but Sue looks just the same. Her eyes and her smile are unchanged. Her love and care for our children has not diminished, and has even grown with the addition of our grandkids. It seems as if she meets each challenge with the resolve of succeeding, while I often lament the winds of ill fortune, real or imagined. Today will be a low key celebration for us. The grandkids are here for a visit, so we'll probably take in some fireworks, or just light off some of our own. Either way it will be one more milestone passed on a journey that has had us, alternately, at each other's throats, or in one anothers arms. I hope that never changes. Happy Anniversary, Sue. And just so you know, I'd do it all again.